Dirt and grime always seem to find their way onto our favorite pieces of furniture like a magnet. Stains come with everyday use, but that doesn’t mean they shouldn’t come off. M.S. 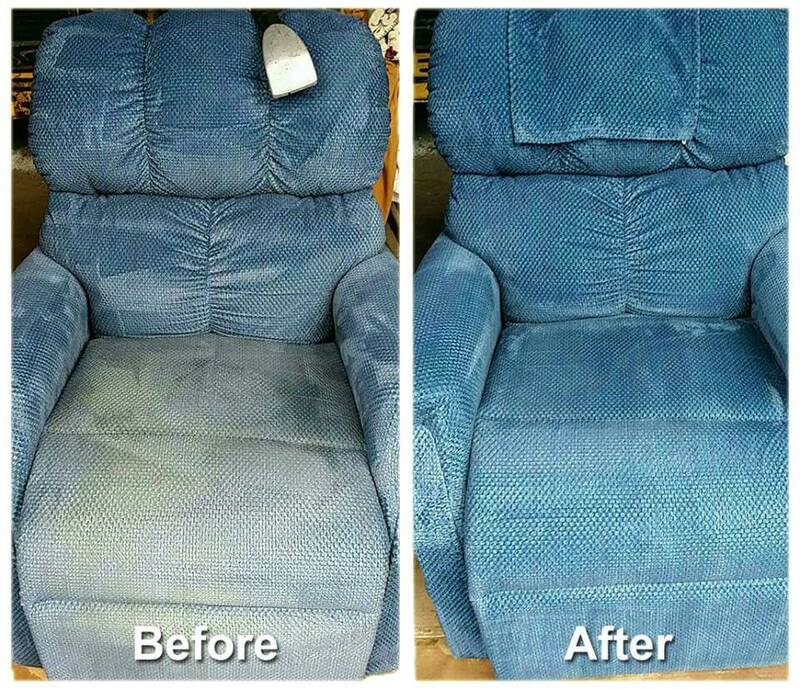 Chem-Dry’s highly-trained technicians specialize in renewing upholstery to its cleanest clean and brightest condition. Our upholstery services come with a 30-day customer satisfaction guarantee. This means if spots come back, so will we and we will fix it for free. M.S. Chem-Dry strives to bring you the most professional and thorough cleaning services. Our upholstery cleaning process not only deep cleans your furniture but it removes allergens, toxins, and the dead skin, oils and hair that fabrics attract. “I couldn’t be any more pleased with this company! Mike and his crew were all professional, kind, on time, and pleasant to work with. They went above and beyond my expectations and I am very happy with the service I received. For any future cleanings our home may need we will definitely be using this company! It was a nice breath of fresh air to see that some companies still take pride in taking care of their customers and stand behind their work!” – Breanna F.
Chem-Dry’s secret to healthy and effective upholstery cleaning is in the power of carbonation. Our carbonated cleaning solution, The Natural®, uses millions of tiny bubbles to release stains from the upholstery fibers. Then, with a hot water extraction process, we pull dirt and grime to the surface. Our fabric-cleaning equipment gently agitates the fabric and pulls stains away. Rather than wearing the surface of the fabric, our process gently cleans the fibers of your upholstery and works to remove the dirt, grime and all of the little crumbs hiding in the crevices of your furniture. Our non-toxic cleaning system leaves your furniture as fresh as the day it was purchased. We provide professional upholstery cleaning services in Omaha, NE that work to help your furniture stay cleaner for longer.